The Weekly Review - 26: Apps We Use: Built-In or Third-Party? 26: Apps We Use: Built-In or Third-Party? Jean and James discuss that dilemna of the digital age: Use third-party apps or the apps built-in to iOS and macOS? Jean uses a fair number of third-pary apps while James tends to stick to the built-in apps, with a few exceptions. Topics include launchers, timers, clipboard managers, and a shout out to the built-in Reminders app. We’d love to hear from you about the third-party or built-in apps that you use and what makes them useful to you. 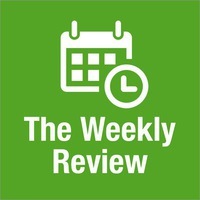 Mention us in your Micro.blog: @theweeklyreview or on Twitter: @weeklyreviewfm.